Wingspan 5 to 7 mm. 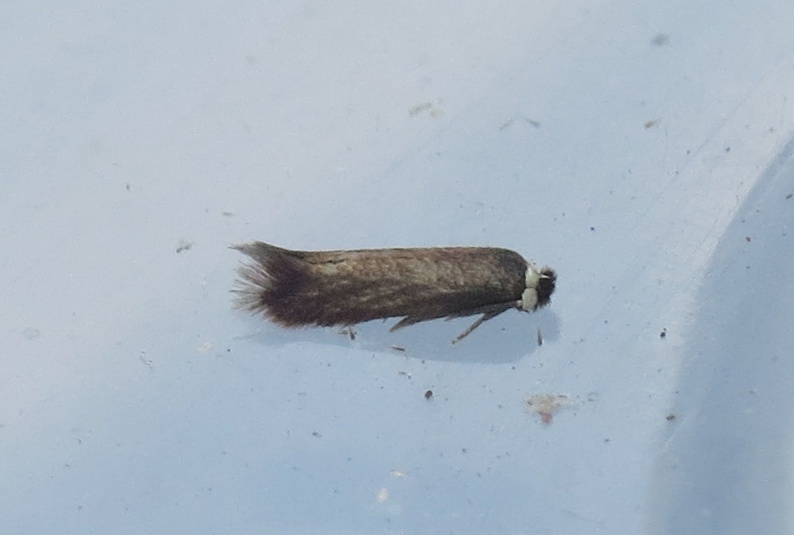 This tiny purple-bronze moth is a member of the unicolorous ruficapitella group of Nepticulidae. 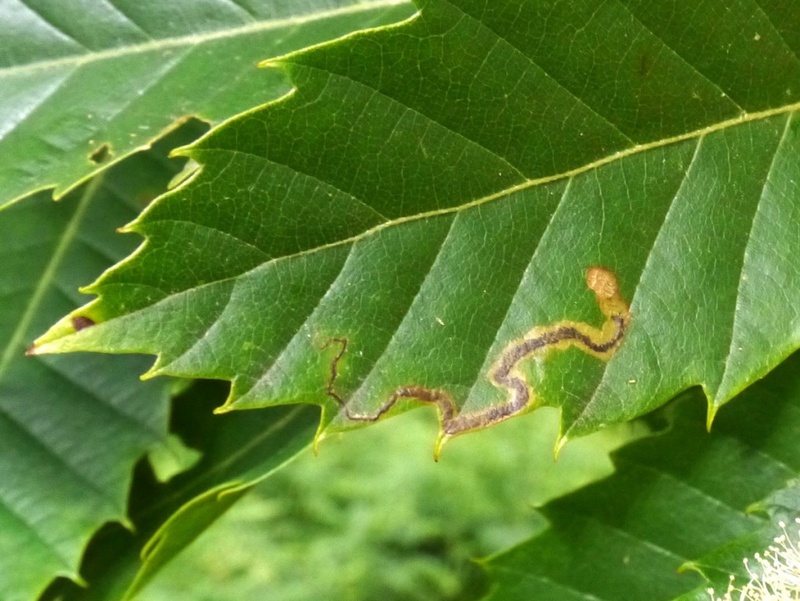 Adult Leafmine if on Sweet Chestnut (needs to be reared through if on Oak). 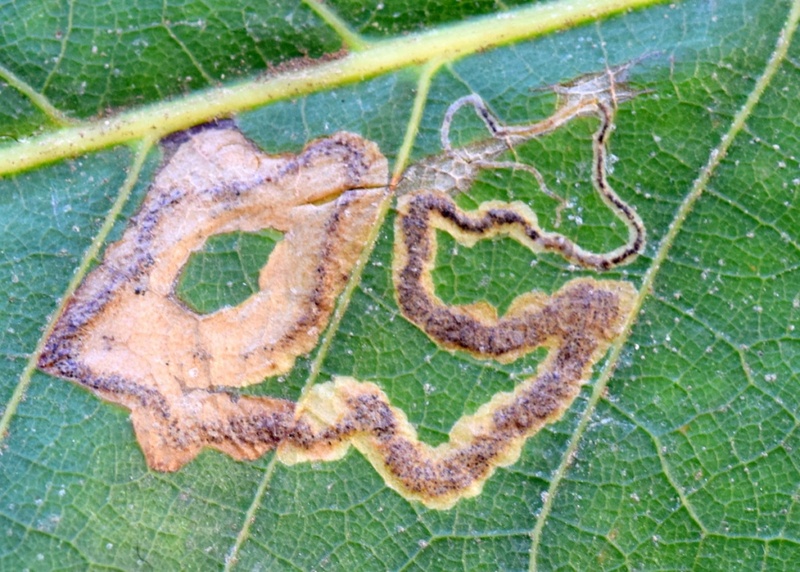 Where the larval foodplants occur. 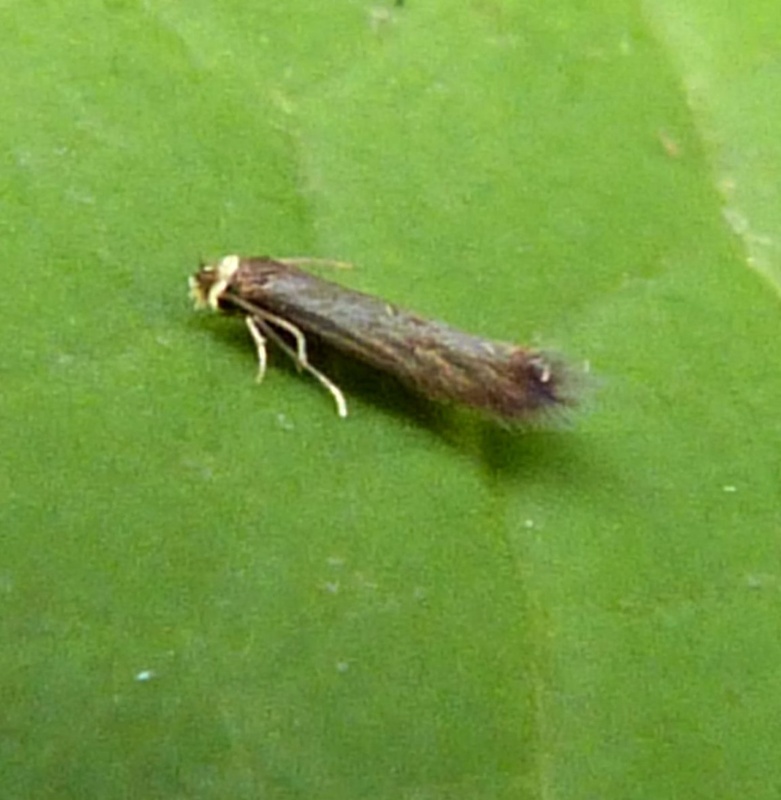 Adults in June and from July to August. The larva creates a quite long and contorted gallery mine in oak (Quercus) or sweet chestnut (Castanea sativa), with the frass in a narrow central line towards the last quarter of its length. There are two generations, creating leaf mines in June/July and September/October. This species was until recently poorly recorded in Britain. As more studies have been undertaken, it has been found to be more widely present than previously thought. 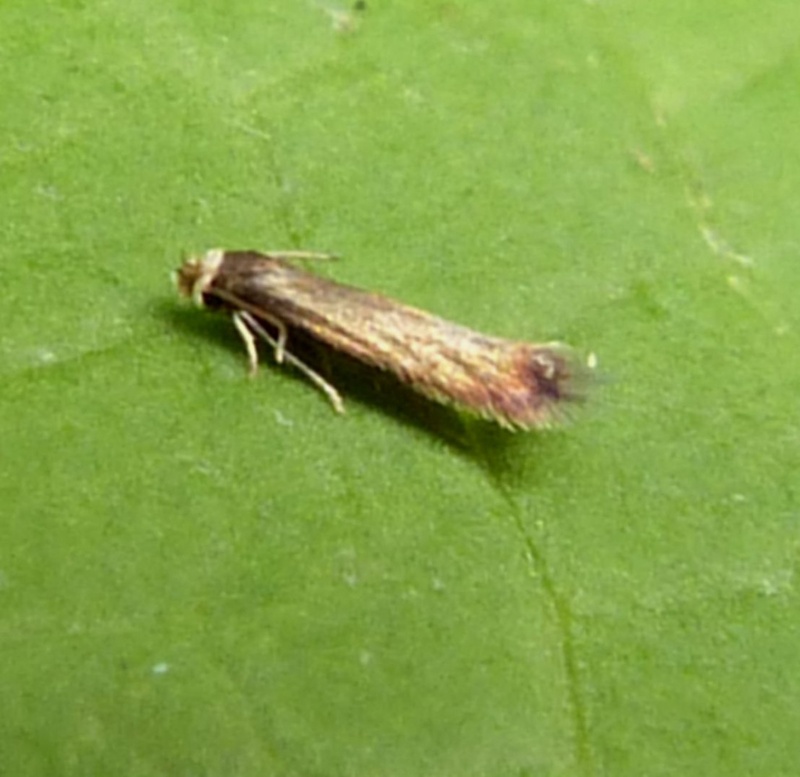 In the Butterfly Conservation's Microlepidoptera Report 2011 this species was classified as local. 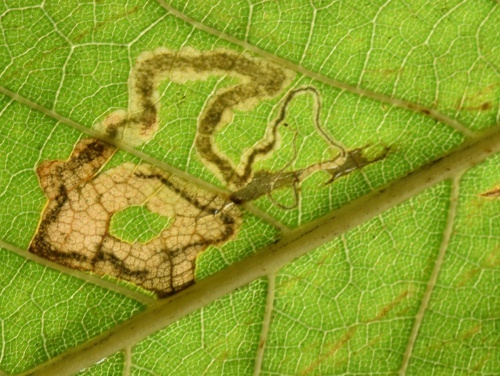 Leaf mine in sweet chestnut (viewed from above).